I have finally updated my paranormal romance novel, Wyrd House, and you can find chapter 10 here. I apologize for the wait. I have been a busy girl. I’ve just left my job, and I start a new job next week. I’m glad of the change, but the circus of interviews and resignation letters, not to mention saying goodbye to the kiddos I worked with, took its toll. It was hard to think the past few weeks, let alone get any serious writing done. Now that I have a week off, I hope to get another chapter or two finished before I start the new job. Special thanks to alert reader and friend, Trina, for finding a nasty little typo in the last chapter. Thanks, sweetie, you rock! In other writing news, the short story anthology I had hoped to pitch my short story, Jinky, to has suddenly changed to an all fantasy/ Sci Fi format. Just what we need, yet another epub or magazine going all Sci Fi/ Fantasy on us. No disrespect to the publication in question, but I write mystery/ thriller! :p So when I get the time, I’ll have to check out the mystery publishers and try to find a home for Jinky. I’m on hiatus from querying Ghost in the Park. I am planning to try to get another writing credit or two before I continue. It’s possible to get an agents attention without any credits, but it’s very hard. As impatient as I am, I know it’s likely to take a year or two to get an agent, if I get one at all. I’ve only been looking for around six months, so I can’t complain. Well, I can, and do, but probably shouldn’t. 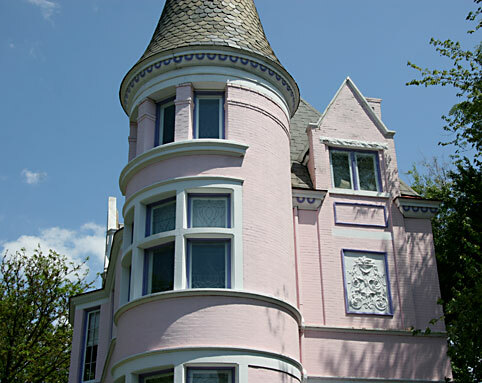 This entry was posted in reading, romance novel, writing, Wyrd House and tagged reading, romance, romance novel, The Pink Palace, writing, wyrd house. Bookmark the permalink.